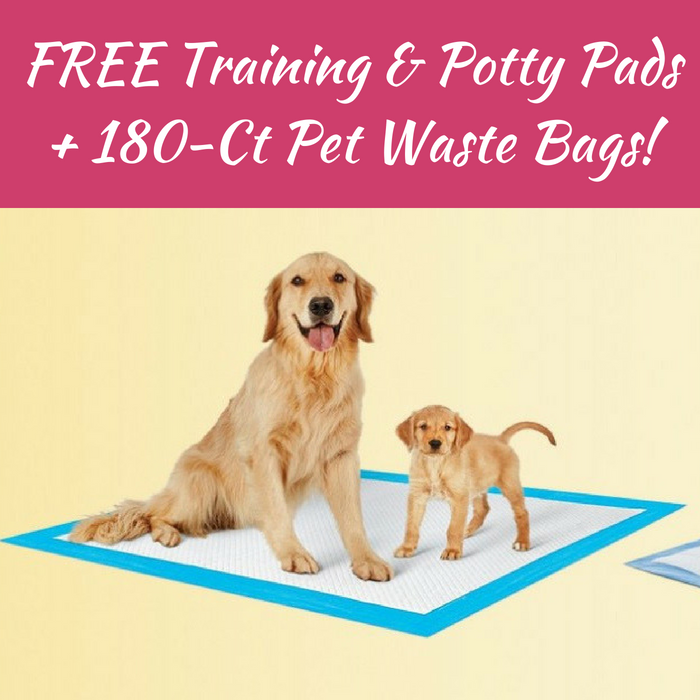 2 FREE Training & Potty Pads + 180-Ct Pet Waste Bags! You are here: Home / FREEbies / 2 FREE Training & Potty Pads + 180-Ct Pet Waste Bags! While supplies last! Hurry over to PetsWorld where they are offering 2 FREE Training & Potty Pads! Even better, if you choose one of the premium pads, you can also score a FREE Bonus 180-ct Pet Waste Bags! All you need to do is fill out this form to request your FREE sample! Nice!